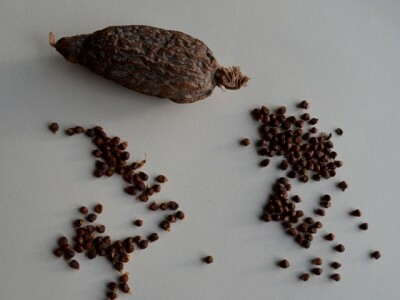 A lot has been written about Aframomum melegueta and it has been said to be the scientific name for both Alligator pepper and Grains of Paradise. However, the two are completely different species of Aframomum. A. melegueta is a well known name when listing the aromatic tropical plants that exist. This is not only because of its various uses but also the historical value attached to it. The first scientific publication on this species was on the 4th October 1904 when Karl Moritz Schumann described it. Before then, it was a plant that has never left the mouth of the people for one reason or the other. Around 14th-15th Century, Pliny mentioned it to be African pepper and later became the Grains of Paradise when it became a popular substitute for Black pepper in Europe. 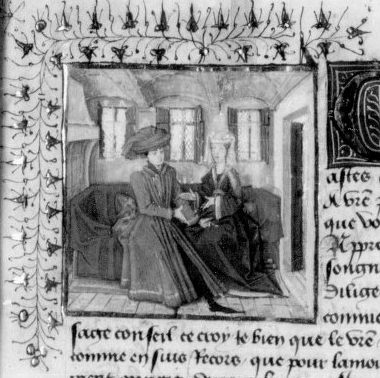 Also, around these centuries, Menagier de Paris (French medieval book on a woman’s proper behaviour in marriage and running a household since 1393) recommended it for improving wine that smells stale among other uses. In 1469, it was given another name; Malagueta (a Portuguese word which literally means ‘chilli pepper’) and gained more popularity as it was included in the trade by a Portuguese merchant and explorer from Lisbon; Fernao Gomes, in the Gulf of Guinea following the permission of King Afonso V of Portugal. Furthermore, the spice has for ages been relished for its heat in both religious rituals and cooking in West Africa, where it originated and has remained in the realm of African scholars and spice surveyors. Aframomum melegueta is also referred to as the Grains of Paradise, Guinea grains, Guinea pepper (but not Alligator pepper). It is a perennial deciduous herb native to the tropics. It grows in the swampy habitats of the West African coast. It possesses tufted leafy stem that can be up to 1.5m high. The leaves are simple, alternate and lanceolate. The matured leaves can grow as long as 40cm in length and 12cm-15cm wide. It produces purple coloured flowers which develops into pods that are not longer than 7cm. This pod contains numerous reddish-brown seeds. The sharp and peppery taste of the seeds is caused by the aromatic ketone present in it. The fruits are fleshy and indehiscent and produce spikes and cannot survive temperatures below 1°C. Aframomum melegueta is abundant in the West African region, Northern Africa. It can also be found in other places such as the Carribbean Island but as introduced crop. The Alligator pepper seed is from A. danielli, A. citratum or A. exscapum. The spice grows wild in countries like Nigeria, Ghana, Guinea and Liberia. The English name – Alligator pepper becomes very obvious when the pod is open and the seeds are shown, the seeds have a papery skin enclosing them and the bumps of the seeds within this skin looks like that of an alligator’s back. The alligator pepper is sold as an entire pod, which contains the seed, unlike the grains of paradise which is sold as only seeds. It is also highly aromatic than that of A. melegueta (Grains of paradise) seeds. The heat is what has kept Alligator pepper alive in people’s minds. Alligator pepper can be mixed with coriander, cinnamon, dried chilies and cloves as a condiment for grilled lamb, chicken, fish, pumpkin and okra, or added to soups, stews and pickling mixtures. They can also be found in ‘raz al hanout’, the spice mixture of Morocco. ”Yummy’‘, nothing tastes better than the Alligator pepper flavour around your meals……you might want to give it a try today!!! When a baby is born in Africa, more specifically the Yoruba culture (Nigeria), a small amount of the pepper is given to them to taste, this is done minutes after they are born. It is said to be a welcoming process for the baby. It is also used as a traditional wedding gift in the same Yoruba culture. In addition to this, alligator pepper together with the kola nut is served to guests in the Eastern part of Nigeria. When chewed together, the hot spicy taste enhances or reduces the bitter taste from the kola nut. One of the myths as regards this seeds is that it prevents accident when swallowed and also reduce the state of drunkenness. Alligator pepper is used for divination and ordeal to determine who is guilty of an offence among the Efik people (primarily Eastern part of Nigeria). It is also used for religious (voodoo) rites at the Caribbean Islands. There is no record that A.melegueta (Grains of paradise) was substituted for Alligator pepper under this cultural uses albeit, its culinary uses maybe substituted. Different authors have researched the various uses of A.melegueta under highly reputable journals and publishers. They have stated its uses to range from having anti-inflammatory capabilty; antimicrobial activities, protection of stored maize cobs (Zea mays L.) against maize weevil, insect pests ; oral ingestion increases whole-body energy expenditure and has among other uses. All of these Researchers have used Alligator pepper as being the same as A. melegueta. It is now known that A. melegueta seed is not the same as Alligator pepper seed. how do we know for sure which seeds of Aframomum they actually worked on; either A. melegueta or Alligator pepper? May be it would have helped if the Researchers attached the images of the Species they researched on, or how do you think we can clarify this new fact? Betumiblog (2013). Grains of Paradise or Alligator Pepper? Phytochemical Composition of Aframomum melegueta and Piper guineense Seeds. Sugita J, Yoneshiro T, Hatano T, Aita S, Ikemoto T, Uchiwa H, Iwanaga T, Kameya T, Kawai Y and Saito M.( 2013). Grains of paradise (Aframomum melegueta) extract activates brown adipose tissue and increases whole-body energy expenditure in men. Ukeh D.A., Umoetok S.B. ; Bowman A.S., Mordue A.J., Pickett J.A., and Birkett M.A. (2011). Alligator pepper; Aframomum melegueta, and Ginger;Zingiber officinale, reduce stored maize infestation by the maize weevil, Sitophilus zeamais in traditional African granaries. Wikipedia (2013). Aframomum melegueta. [21 October 2013]. Wikipedia (2013). Alligator pepper. [21 October 2013]. Ayodeji is a Plant diversity(Msc.) student in University of Reading who loves to unveil new things about Plants. This entry was posted in Africa, Crops, Learning and Teaching, Species, Students and tagged Aframomum, Alligator pepper, aromatic crop, Tropical biodiversity. Bookmark the permalink.